Today’s elder is a 61 year old British national living in Surrey, named Ewan. There was a bit of nostalgia in his voice while he was talking about the past, as you’ll notice in the interview. He’s had a tough time over the years, Ewan, but despite that he was as joyful and happy as they come. I really liked that. I’ve realised over the past week that I don’t have time to post the elder project interviews every day, but I will try to the best of my ability to actually do one every day and post them at a later time. 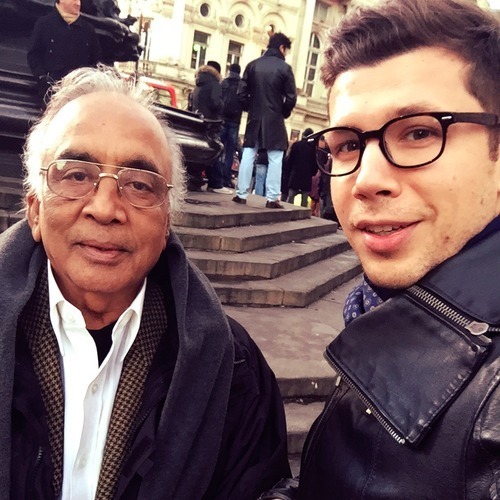 Today, I’d like to introduce you to Jagdish Patel, a jolly 67 year old British national of hindu indian origin. I met him at Piccadilly Circus, as he was gazing over towards the large billboards in the square. Sorry about the background noise, the iPhone’s native mic is not great. I’ve now purchased a better external mic so future outdoor interviews should be better. Almost every year for the past six years, I’ve taken on a new experiment. In 2008 I was a polyphasic sleeper for two months. In 2010 I lost 14kgs in two months. In 2011 I lived in London on £300/day for two months (rent included). In 2012 I read a book a week for a year. Last year I studied Mandarin. This year I trained my memory with a World Top 20 Memory Champion (for example, I can tell you the first 200 digits of PI or recite Martin Luther King’s ‘I have a dream speech’, for fun). I do these experiments because I love learning and enjoy getting outside my comfort zone. They’re fun, challenging, and many of them become habits (for example – I go to the gym every day and read about 6hrs/week thanks to my experiments). 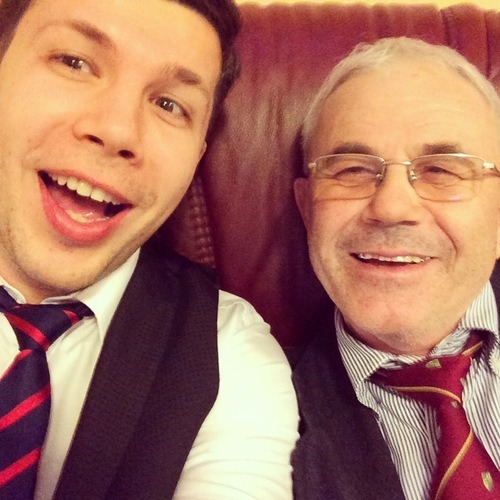 In 2015, I will interview an elder person a day, every day (except weekends), for a year. I think young people can learn a ton from the elderly, and we don’t spend nearly enough time with them as we should. So for a year, I’ll be interviewing elder people. Friends of friends, people on the street, hopefully some entrepreneurs as well. 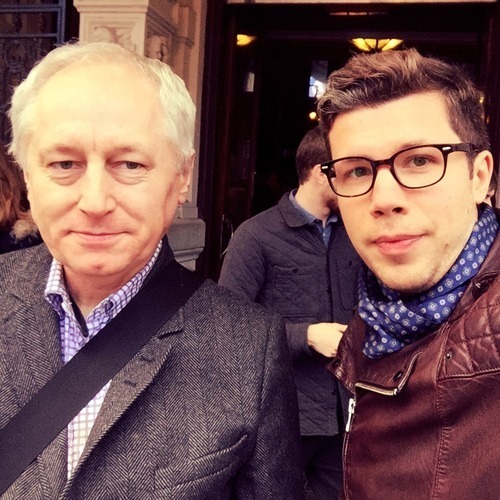 I will post the interviews on this blog, every day, together with a photo of the person I’ve interviewed. I’ll be asking them a few questions about them (to get context), followed by 10 questions that are important to me. But before I start, I’d like to get feedback on my questions and get a couple of question from you. Below, I’ve listed the questions I’m planning to ask, and I’ve deliberately left a couple of spots open. I’d love to get your feedback and, if you have a question that’s important to you that isn’t listed below, please leave a comment and it may go into the list. 3. Are you married, with kids? How many? What are their names? What age did you get married? How old are your kids? 4. How many close friends have you had during your life, or currently have? Close friends, not acquaintances. How often do you speak to or see them? 1. Are you happy? Why? What makes you happy these days? 2. If you could go back in time, what would you change? 3. What did you think the most important thing for you was when you were young? What’s the most important for you right now? 4. Work and family. Which one’s more important? Why? 5. How important has money been in your life? How important is it now? 6. If you could live forever and could hold on to just one thing from your life (family, work, money, etc) what would it be? 7. What do you want to leave behind? What do you want people to say about you when you’re no longer around? 8. Let’s say I’m your grandchild. What is the one piece of advice you’d like to give me? 9. What’s the meaning of life? I’ve had this blog for about eight years and for the most part my posts have been all about my entrepreneurial endeavours. There’s very little personal content, as I’ve never thought my personal life is interesting enough for me to write about it. A couple of weeks ago, however, I had a TV crew led by the wonderful ProTV news anchor Amalia Enache following me around London & Bucharest, speaking to my friends, family, team and clients. The result is a wonderful window into my life, family and especially into my work at Brainient. If you speak Romanian, I hope you find it informative and entertaining. If you don’t, I hear it’s fun to see anyway. You can watch it below. Thank you Amalia and the ProTV team for your hard work in putting this together. I owe you lots of chocolate. I’m a massive multi-screener, and as it turns out so is pretty much everyone else in the developed world who owns a smartphone. It’s truly incredible how quickly this shift has happened (<2yrs). 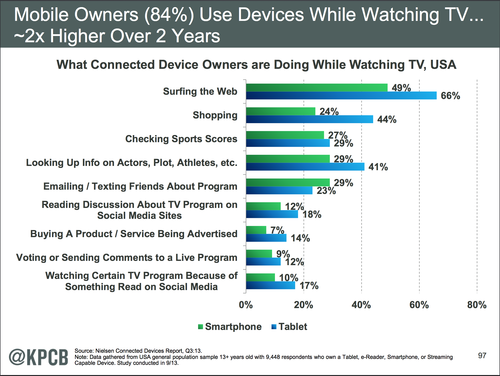 Broadcasters love second screen experiences, because they drive more media engagement. 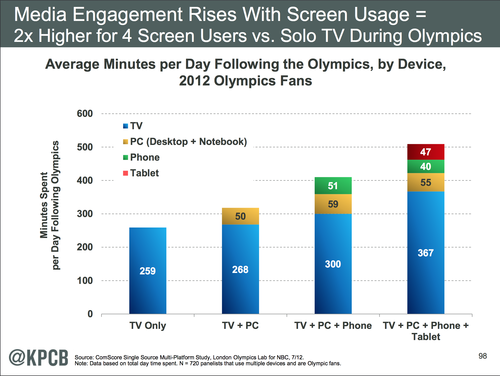 Because of this, many big players in TV are investing second screen mobile experiences for their audiences. A good example is ITV with their XFactor and Britain’s Got Talent apps. 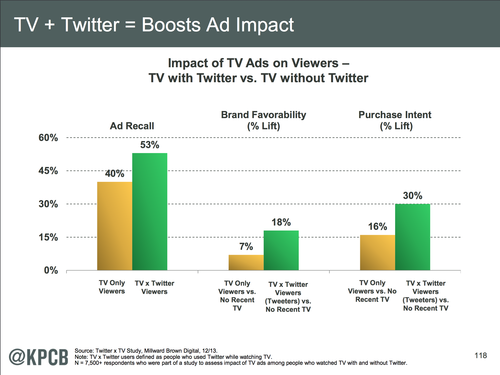 Advertisers love second screen ads, because they boost brand recall and almost double purchase intent. At Brainient, we’re experiencing the rise of second screen from the front line. ITV, UK’s largest commercial broadcaster has chosen Brainient for the delivery of all their second screen ads. The engagement rate on these ads is stellar, ranging from 30% to 300% in some instances. So if you’re a brand, give second screen a chance. You may realise it’s actually the holy grail of advertising, because it helps brands generate brand awareness while enabling people to actually make a purchase (or express their intent to make one).